지리산 – Jirisan National Park is designated as the first and the largest National Park of South Korea. 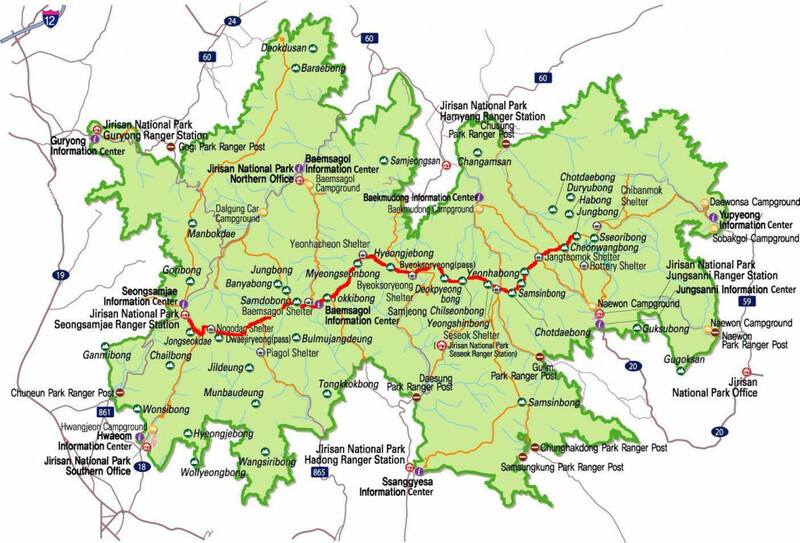 Located in the south, it spreads across three provinces – South-Gyeongsang (Gyeongsangnam-do), North-Jeolla (Jeollabuk-do) and South-Jeolla (Jeollanam-do). Many Korean and international visitors come to Jirisan to enjoy its wonderful sceneries, walk on the stunning hikes through a lot of valleys and mountains, as well as to reach the highest peak in Korea mainland – the Cheonwangbong (1915m). I was there on Jirisan with my friends from Germany – Kerstin and Sven. After spending 3-day-2-night there, we‘ve not only seen the beautiful landscape of Korea, but also experienced the friendliness and warm hearts of the Korean people. What an unforgettable hiking tour! Kerstin and Sven came from Germany to Korea for the first time to visit me. We were climbing mates back then in Germany and all love mountains. That’s why, my first thought of what to do with them was: Let’s plan a cool hike! But where to? Jirisan, Seokraksan, Bukhansan? All supposed to be wonderful. But the highest one is on Jirisan! Go for it! For the preparation, we‘ve found a lot of useful information online, such as on the blog of Juno Kim (2017) or Elicia und Thomas (2014). The blog entries described everything in detailed with amazing photos. Reading and looking at the pictures we just wanted to be there immediately! 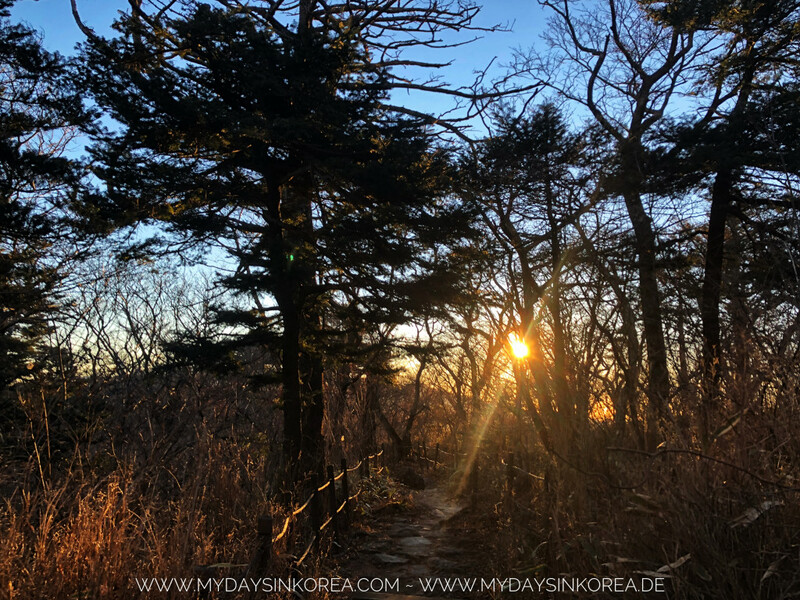 Based on the information we found we decided to hike for 3 days and 2 nights on the „Jirisan Ridge Hike“, which is also named as “Jongju (Traversing) Course“ on the Korea National Park Homepage.